Following legally mandated closed session discussions, the Ridgecrest City Council first introduced the opportunity for a Native American Entertainment & Gaming Facility to the public on April 20th, 2016. As was the intent of the Council from the beginning of the public debate surrounding the Native American Entertainment & Gaming Facility, the public was given its first opportunity to vet the issue following its initial presentation at the City Council meeting on April 20th. The format of the Town Hall meeting was somewhat loose, allowing the public to freely express their concerns, support, and questions. Future meetings will give the public opportunities to speak. The Council placed the Native American Gaming Facility on the agenda as a discussion item, assuring the public that there would be no action taken. This meeting had a more deliberate format, ensuring all public was heard from. The Town Hall meeting was formatted in order to ensure the most comments and questions could be heard from the public. Time was also dedicated to a Council & Staff discussion. The City Council wants the public to know how important the debate is on this issue. Their actions amply demonstrate that only when the opportunity for a Native American Gaming Facility has been thoroughly vetted by the public will they be comfortable making a decision with all the information available. There will be more opportunities for the public to ask questions and give input. The Council has approved a second Town Hall. They will be exploring other discussion venues to gather information from supporters, opponents, and undecideds of the casino development. What will be the impact to public safety? After looking at several comparable communities with casinos, Chief Ron Strand has stated that the impact to public safety will be no different than any other establishment that serves alcohol. When the relationship is defined correctly, the Chief says any public safety issues are manageable. This relationship is defined in the Municipal Service Agreement and the Tribe has met all of Chief's requests to strengthen the public safety section. How can the community be assured that the Developer will uphold his design promises? The Developer has stated that he is willing to put covenants (legally binding agreements) in the terms of the Land Sale that would create design standards. Also, in the course of the NEPA process, the Ridgecrest community will be asked about what expectations were created by the developer. The Developer will not benefit from not upholding his promises. Where is the Navy on the casino and when will their input be considered? In the form of a statement from Mr. Tim Fox, the Navy has vocalized a concern that the casino & concert venue are within mission compatibility, but noise attenuation measures are recommended in the architecture (handled during building code process). Hotels (part of Phase II) are not compatible. Overall, the site is within the military influence area, which may be in conflict with the area's General Plan. The Navy has no official position on the casino itself, but mentions these code issues that will be mitigated during the process. Further Navy & DoD input will be given during the NEPA process. What will happen with the City's MSA & Land Sale if the process is killed at the Federal level? The Municipal Service Agreement (MSA) is an exchange for City services and infrastructure. If the development doesn't go through, the MSA goes away. It has become known that the City Economic Development Director is negotiating with the Developer to include a clause in the Land Sale that the sale would only finalize following Bureau of Indian Affairs (BIA) approval. If the development is not approved, the sale will terminate with no liability to the City. How does the Tribe intend to participate as a community member? Built into the MSA are assurances that the Tribe intends to: pay more than it's share to the City for use of infrastructure & services, contribute to programs in the community (education, Gamblers Anonymous, other giving), and if/when the hotel is built the Tribe will pay TOT. The Tribal Chairman George Gholson has vocalized an eagerness to get to know the community and participate like any business owner. How will the casino construction deal with traffic impact? Traffic impact and discussions with CalTrans (the administrative body that governs the 178/China Lake Blvd.) will happen at a later stage in the process. During the State Compact and Federal NEPA processes, the impacts to environment (traffic included) will be studied and requirements will be applied to the building plans, as is the case with any development. How will the casino handle natural resource mitigation? The Developer has vocalized his intention to build the facility with the highest standard amenities, including non-evaporation cooling, low-flow bathroom facilities, grey water, solar energy etc. More assurances can be included as terms in the Land Sale, but even further down the road the NEPA review will ensure impacts on natural resources are mitigated. The process will be no different for the casino than any other development. Has the Developer conducted a feasibility study regarding their business plan? The City wants to stress that an evaluation of any business plan is not the responsibility of any municipality, except in cases where a grant is being given. The casino developer is a private entity and their business plans and financing are proprietary. However, it has been mentioned that the Bureau of Indian Affairs may evaluate the business plan at a later stage. But the City cannot choose businesses based on their feasibility. What will happen to the land if the casino should fail? At that Land Sale stage, the land will be sold to the Tribe (pending approval by the Bureau of Indian Affairs). Should the casino fail at some point in the future, the land will continue to belong to the Timbisha Shoshone Tribe through the Tribal Trust. If the casino fails, the Tribe will have the freedom to decide how their land will be used - sold to another developer or developed by the Tribe in another way - just like any other land owner in Ridgecrest. There are certain prohibitions to what the Tribe can develop that are in the MSA. 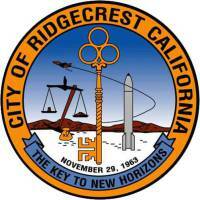 The following are interviews conducted by Ridgecrest's local broadcasting station, KZGN.